Can you see the distance between them? 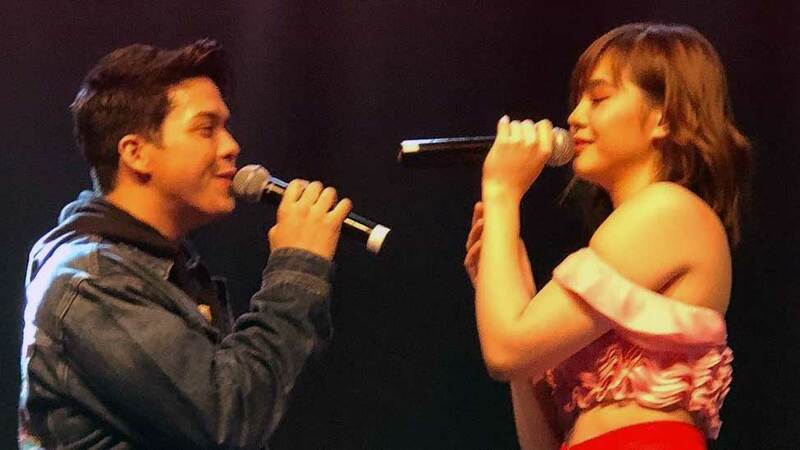 Two months after Janella Salvador, along with her mom Janine Desiderio, spoke out about the physical abuse that she has allegedly been suffering from Elmo Magalona, the two were seen together onstage at Star Magic’s One Magical Night concert in Calgary, Canada. They performed “Born For You,” the theme song of their first telenovela together, which has the same name. Janella and Elmo were also photographed touring the Sulfur Mountains in Banff, Alberta with Kathryn Bernardo and Daniel Padilla. It’s important to note that there is some distance between Janella and Elmo in their photos.